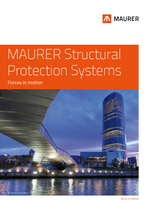 Structural Isolation by MAURER protects residential and commercial buildings from the disturbing impacts such as shocks, vibrations and structure-borne noise due to trains, traffic and other disturbances. 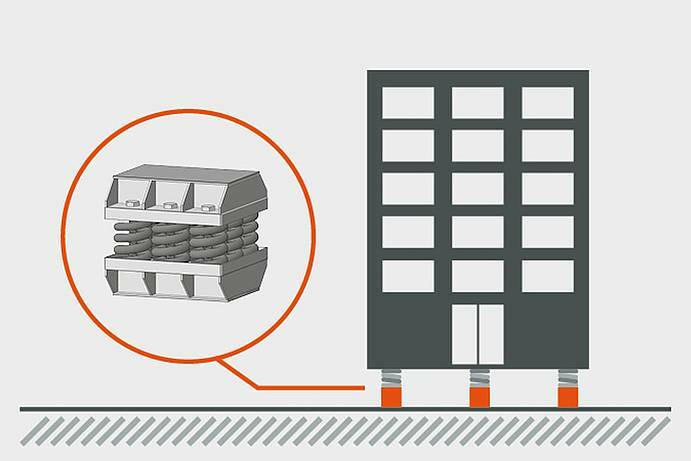 The resulting isolation is called passive or receiver isolation that minimizes the transmissibility of the environmental disturbances on the building whereby functionality of and living standard in the building are maximized. 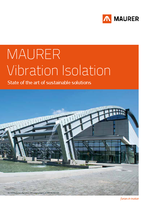 Structural Isolation from very low seismic excitation in vertical and horizontal directions and extensive seismic horizontal vibrations are a special competence of MAURER. 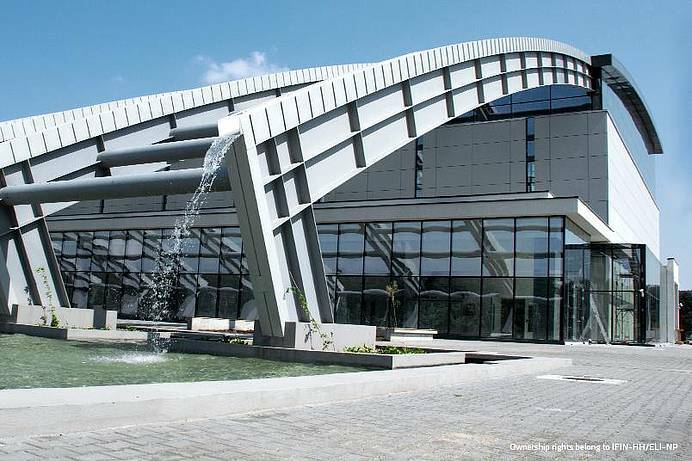 Typical buildings for this special type of isolation are research facilities, hospitals with highly sensitive measuring systems and other systems requiring highest precision, e.g., optoelectronic microscopes, equipment for chip manufacturing in semiconductor technology and laser-based measuring systems. 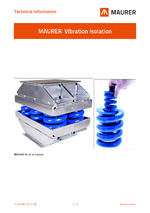 Smallest vibrations in the order of micrometer of the surroundings of the building are efficiently reduced by MAURER isolation whereby production and measurements at highest accuracy are guaranteed. 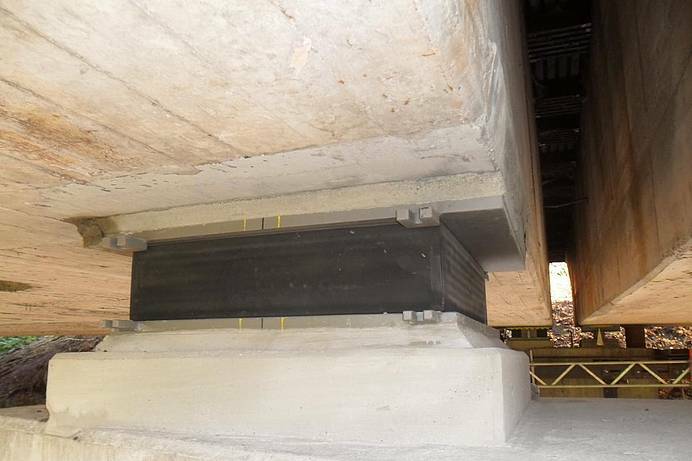 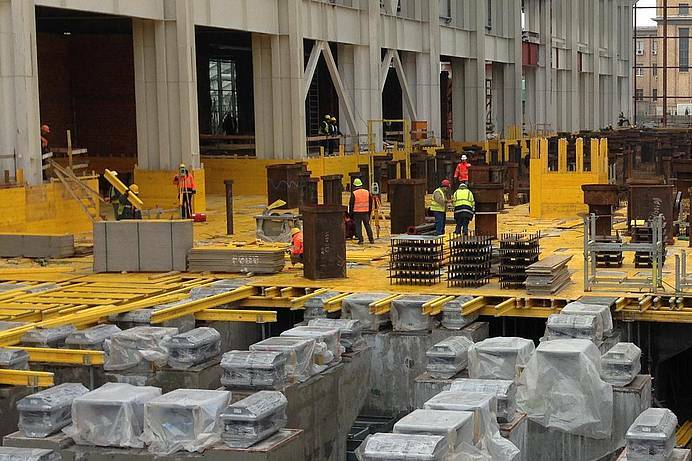 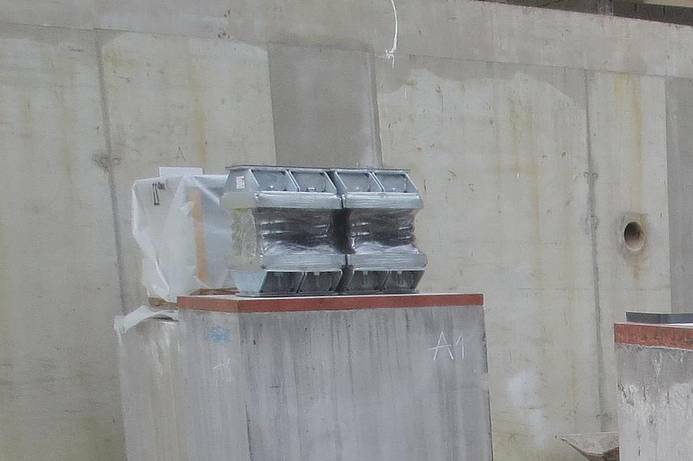 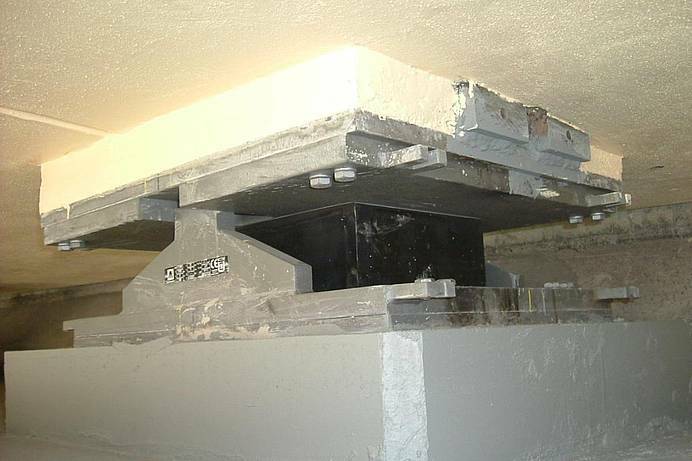 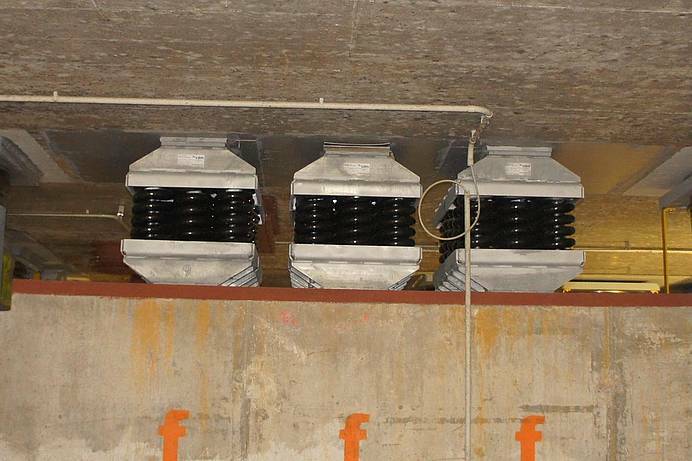 Extensive seismic lateral accelerations due to severe earthquakes must be mitigated by suitable additional isolators such as curved surface sliders which are described in the MAURER brochure entitled “Earthquake Protection Systems”. 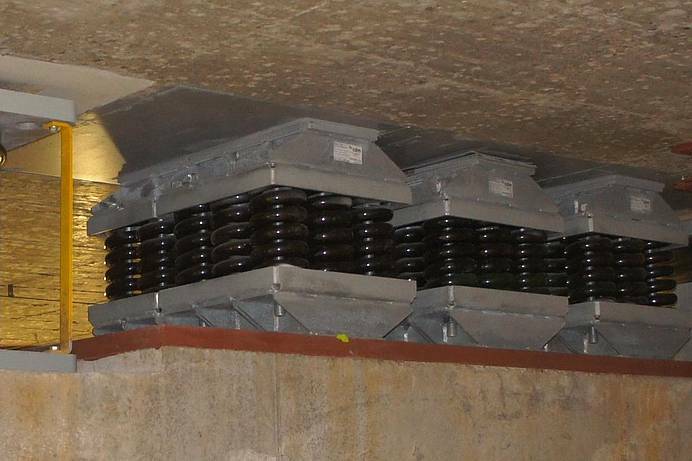 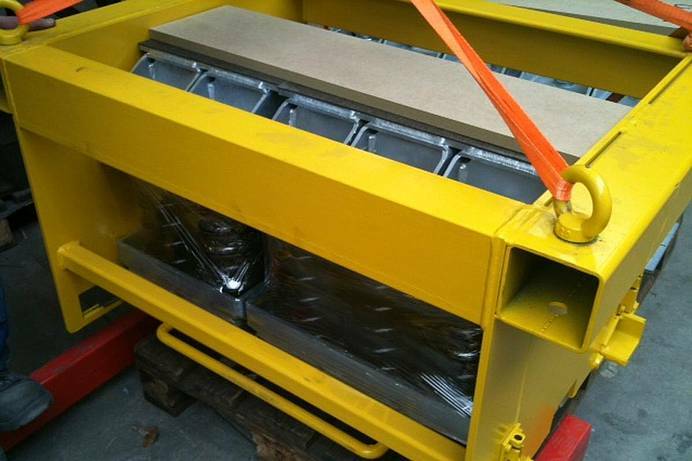 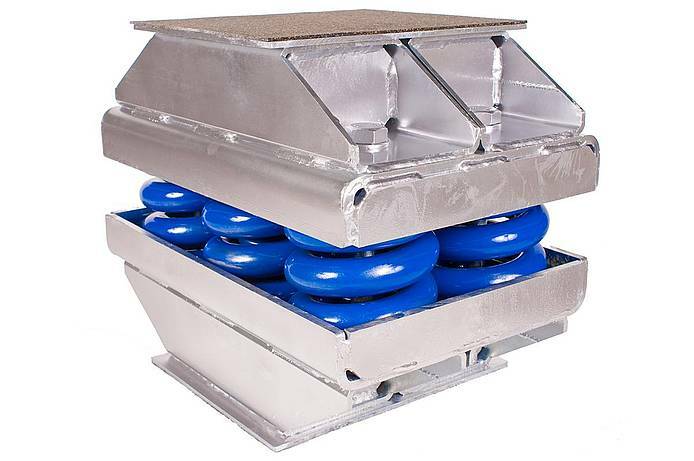 Isolation against microseismic vibrations in vertical and horizontal direction through spring boxes with/without dampers for isolation systems with tuning frequencies from 2.5 Hz onwards. 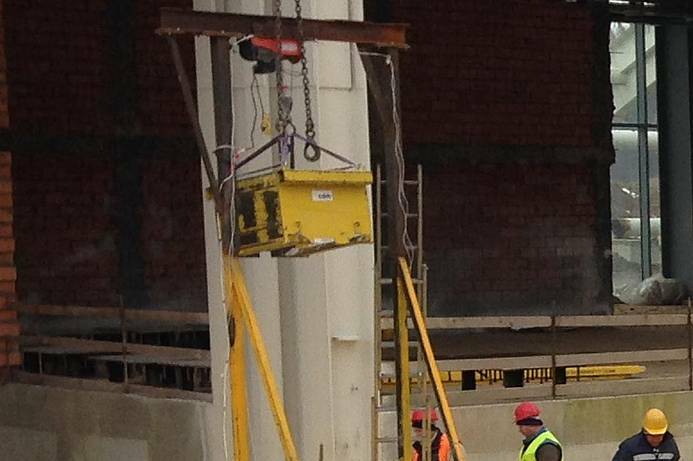 Smallest vibrations in the micrometer range in the vicinity of the building are effectively isolated. 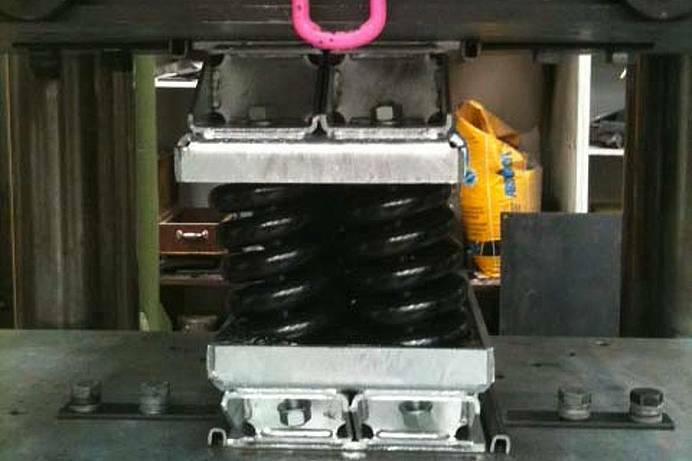 This measure allows for production and measurements in highest quality. 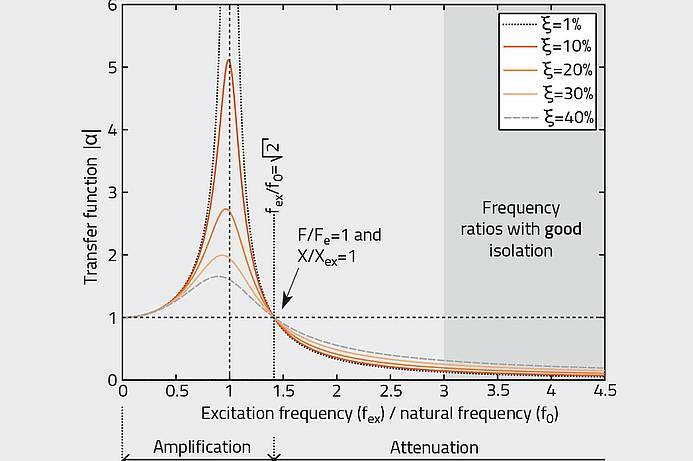 Isolation from microseismic vibrations in vertical and horizontal direction through elastomeric bearings for isolation systems with tuning frequencies from 7 Hz onwards. 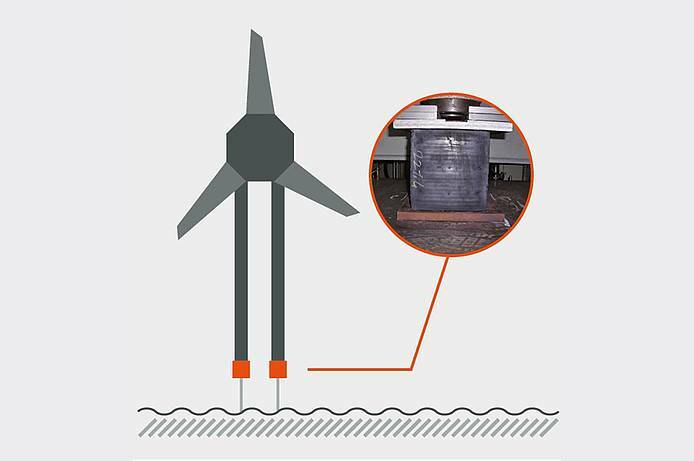 In this way, stress peaks in the load-bearing structure of wind power plants are efficiently reduced.